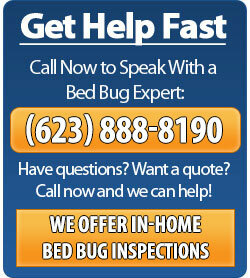 In the modern day and age, bed bugs have become more of an issue, especially throughout Arizona. They can be difficult to spot as they are small and nocturnal creatures. If you have been facing bites and itches at night on your bed, you might want to check for signs such as dark, tiny specks that appear on the sheets. 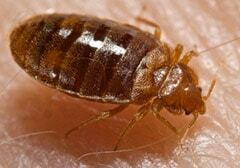 Signs of bed bugs appear on bed sheets. You may see some crushed bed bugs and possibly some of their shredded remains. They also make their home in box spring or within mattresses as well as in crevices in or around the bed. They hide away in such places during the day and are not found very often during the daytime. If you wish to eradicate bed bugs you need to destroy all the hiding places. If you are not sure that bed bugs are present on the sheets, you need to look for signs. 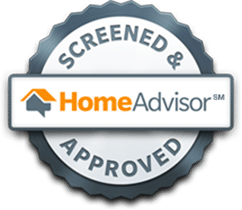 If you find visual signs on the sheets such as rust like stains that are indicative of their excrement or blood from bites, these are pretty clear signs that bed bugs are present. You may find these signs may be more concentrated in certain areas. It is also wise to wait until it is dark and search around the corners of your bed and under the mattress with a flashlight to find signs of these small insects. 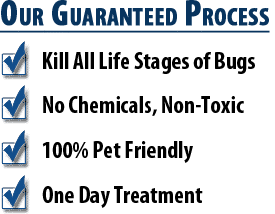 Once you have found signs of evidence that these bed bugs are present, it is best to seek professional treatment services as soon as possible. Bed bugs tend to be difficult to eliminate it so it is best to seek bed bug treatment from the professionals. 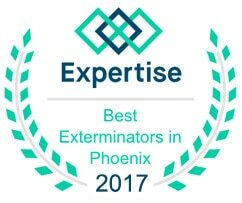 A bed bug extermination company like Phoenix Bed Bug Expert has established methods of inspection as well as guaranteed extermination methods that will lead to permanent results.